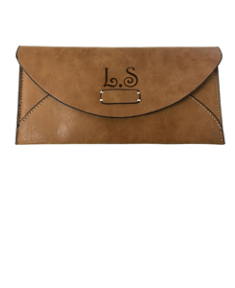 A Quality clipped 'Leather Key Holder' made of luxury soft leather. Features: Include 5 individual clips with an additional lobster clap. Specifications: 100% Leather Snaps closure Color: Brown Natural Leather 1 Lobster Clap. 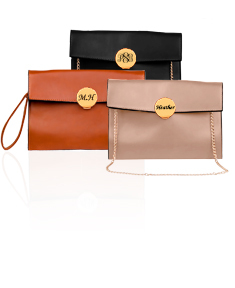 Made to top 100% quality genuine leather. 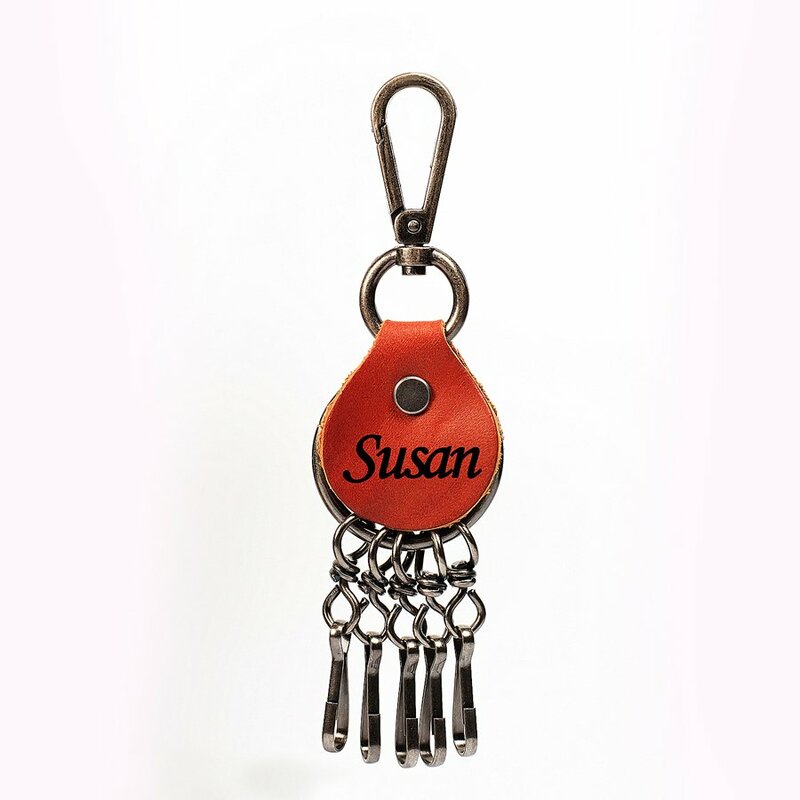 Note: The 'Personalized Leather Key Holder with Individual Clips' photos displays the name with one capital letter and the remaining ones in lower case. If you desire them with all lower case letters please enter the initials exactly as you desire them to be created. 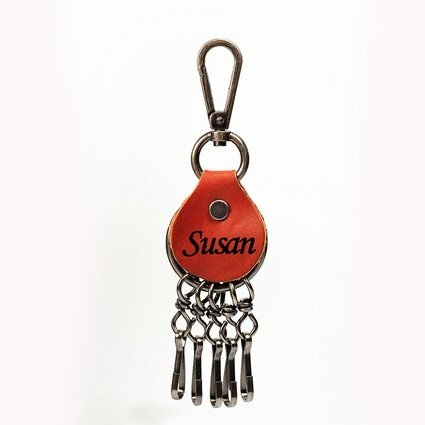 Special Note:The 'Personalized Leather Key Holder with Individual Clips' photos displays the name with one capital letter and the remaining ones in lower case. If you desire them with lower case letters please enter the initials exactly as you desire them to be created. 1. 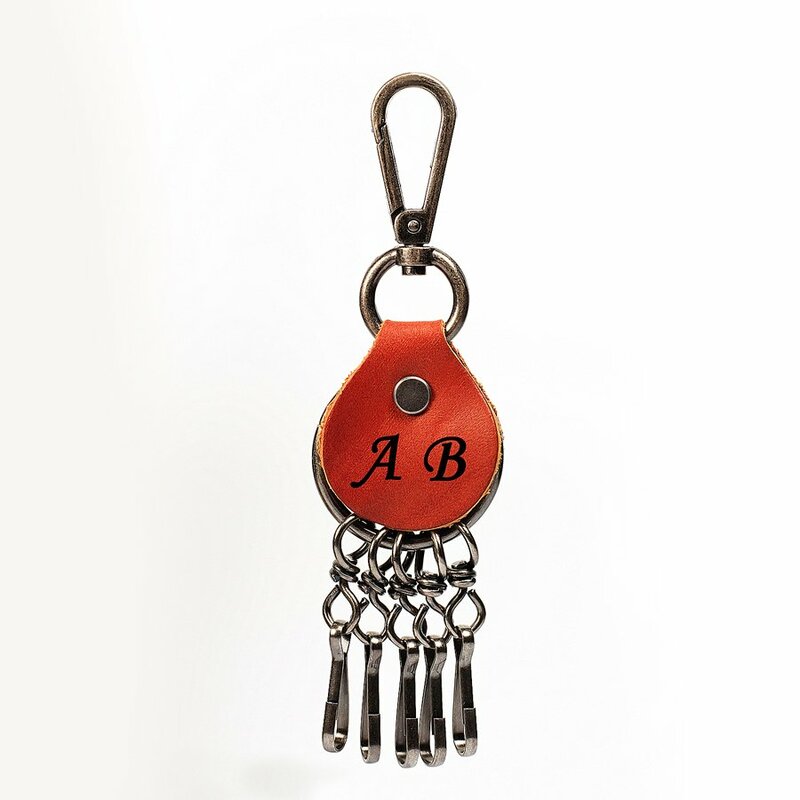 Select the style of 'Key Holder' you desired. 3. 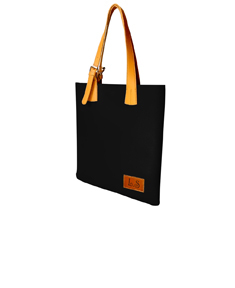 Click on add to cart and proceed with your checkout. 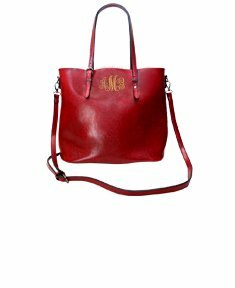 Note: If you desire to have all letters in lower case, you must specify this in the comment section when you make a purchase.